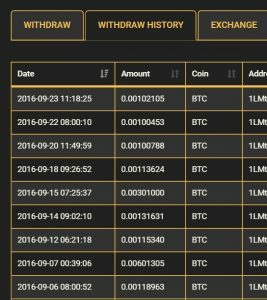 Best Bitcoin Faucet of 2016 | The Top Site For Free Bitcoins! What is the best Bitcoin faucet of 2018? In short we believe the best Bitcoin faucet in 2018 is at Crypto-Games! 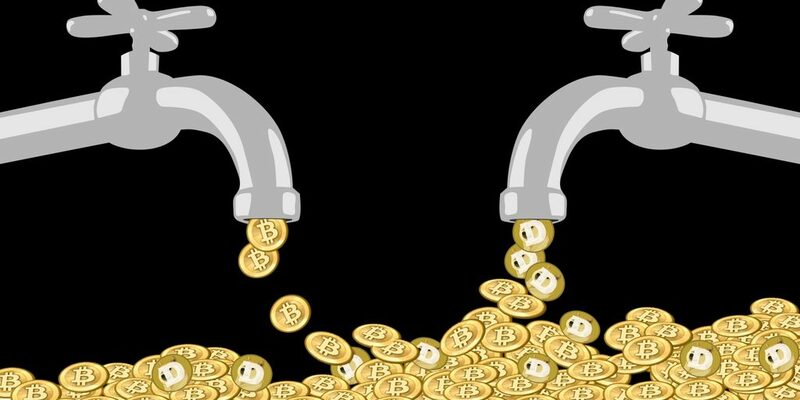 This article will explain the key components of a good faucet, why we think Crypto-Games has the best one around today, and how their faucet level system works. A Bitcoin faucet is a reward system on a website or application that rewards its viewers or users in the form of a small amount of Bitcoins. Usually the Bitcoins are given to visitors to claim in exchange for completing a captcha or task as described by the website. Not all faucets have been created equal. Some sites give as little as 100 Satoshi away and some as much as 20,500 Satoshi when you get to the right level. Some let you claim the faucet every few minutes while others every few hours. Some do not let you withdraw for a long period of time and others let you use your Bitcoins straight away. We believe there are 3 key components to a good faucet that include; (1) the size of the faucet; (2) How often you can claim the faucet; and (3) How easy it is to withdraw the faucet. In our experience reviewing Bitcoin gambling sites, we have tested a lot of different faucets. Most range from 200 Satoshi to 1000 Satoshi and you can claim every few minutes. Now Crypto-Games have a starting faucet level at 1000 Satoshi that can be claimed 15 times per day and it goes all the way to 20,500 Satoshi that can be claimed 60 times per day! The reason we like the faucet at Crypto-Games so much is how easy it is use the faucet, to get enough Bitcoins to withdraw your money and how easy it is to increase your faucet size. By just talking in the chat, referring people, visiting the site regularly, Investing in the bankroll or gambling at the site your faucet will increase quickly. As of writing this article we are level 10 on the faucet level. We got to this level by investing in the bankroll, talking on the chat, referring players, visited the site for 45 days, and of course playing on the site. In total we have withdrawn approximately 0.019 Bitcoins from using the faucet alone. The image on the left shows some of our latest Faucet Withdraws. Level 10 faucet means we can claim 4,300 Satoshi every 3 minutes and up to 25 times per day. 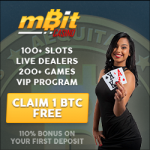 Currently the site has a minimum withdraw of 100,000 Satoshi or 0.001 Bitcoins. This means nearly every day if we use the faucet we can get to the 100,000 Satoshi required for a withdraw. In total we wagered over 0.5 Bitcoins which added one level. We have invested over 2 Bitcoins which has added six levels. Our referred players have wagered over 0.001 Bitcoins which added one level. We have sent over 800 messages in chat which added another level. Finally we have been active for over 14 days adding another level. These all add up to level 10 or 4,300 Satoshi at the Faucet. 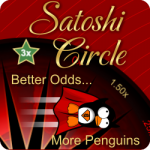 As you go up each level you will see a increase in your faucet level, all the way from 1000 satoshi at level zero to 20,500 Satoshi at level 35. As an added bonus at Crypto Games users of different currencies can also claim the faucet. Currently there is 7 different currencies you can claim a faucet in! Go here to read our Crypto Games Review. Go here to watch our Crypto Games Video Review. Read our Bitcoin Gambling Investment at CryptoGames here.